Giles has diverse commercial experience with an international career spanning almost 30 years, with leadership experience gained across European and Asian markets. He spent 10 years based in London with American Express where he led payments and travel related businesses, before moving to Australia in 2004 to help the Australian and New Zealand business navigate regulatory changes in the payments landscape. He then enjoyed working at Westfields as Head of Retail and Business, followed most recently in senior executive roles at Thomson Reuters, where he gained a keen appreciation for the Tax, Legal and broader Professional Services environments. Linda is responsible for leading and developing our marketing to actively generate greater brand recognition as the leading professional association and educator in tax. She is an inspirational leader with extensive experience in data, analytics and automation. Linda relocated to Sydney after 12 years in London working at Legal & General as the Head of Marketing Analytics & RFPs. The function revamped the company’s digital “shop-window” for consultants and automated the content creation and delivery. In 2013 she started at Thomson Reuters Legal and Tax to build a marketing data & analytics function that focused on automation and process improvements. Linda is very passionate about member experience and actionable insights. She holds a BA of Arts, with a Communication and Media focus, as well as, a UK Investment Management Certificate (IMC). Alex is responsible for the development and delivery of The Tax Institute’s structured education program (including the Graduate Diploma of Applied Tax Law) and for the experience and progression of education program candidates. She has domestic and international experience in developing and managing professional development and education programs at a postgraduate level with cohort sizes in excess of 30,000 candidates. She is also experienced in developing and delivering education and assessment in accredited higher education and ISO9001 environments. Alex previously held a key management role in the digitisation of assessment delivery for CPA Australia’s CPA program, and served as Examinations Manager at the Royal Australasian College of Physicians. She is passionate about high-quality educational experiences that focus on the candidate, and about robust assessment development and the digital transformation of the learning and assessment environments. She is currently completing an MBA (Executive) degree at the Australian Graduate School of Management within the UNSW Business School. Kerryn joined the Institute in 2013 and manages the essential support functions of finance, IT and membership services. She holds a Bachelor of Commerce (UNSW) and is a CPA. Kerryn is an experienced executive with extensive experience across a number of sectors including Financial Markets, IT, Recruitment and now, Not for Profit. Previously, she was the CFO at Kelly Services ANZ (a global fortune 500 company), and prior to that General Manager, Finance at the Clarius Group (an ASX listed international company). A people focused, passionate and commercially astute leader, Sharon has extensive experience in driving the strategic direction and operational management of national training businesses. Sharon has previously run her own change management business and prior to that was the General Manager, Training & Development at the Institute of Chartered Accountants. In addition to his role as Senior Tax Counsel at The Tax Institute Professor Deutsch is currently a Deputy President of the Administrative Appeals Tribunal (AAT), and for over 20 years he was a Professor in Taxation Law with the University of New South Wales. He specialises in taxation matters, with a special emphasis on international tax, and his time with the AAT has required extensive involvement in corporate law, social security and immigration matters. Professor Deutsch also has experience as a solicitor with a major national law firm, as an independent barrister, and as a director with a major accounting firm. He has written widely in his fields of specialisation as well as in the area of financial statements, and is an ongoing contributor to the highly successful Thomson Reuters Australian Tax Handbook. He is also a regular conference presenter for a number of organisations, including The Tax Institute and the University of New South Wales. Professor Deutsch has deep expertise in both tax practice and tax education, developed over many years at the highest levels. This gives him a unique perspective that enables him to represent The Tax Institute with authority and integrity. Leanne joined The Tax Institute in 2015 and has more than 20 years’ experience working in the accounting profession having worked for both Big-4 and mid-tier accounting firms. Leanne also has extensive experience in event production and delivery, marketing, sponsorship and business development having also worked for professional membership bodies, CPA Australia and ARITA. Prior to taking on the position of State Manager with The Tax Institute, Leanne held the position of National Event Manager. Paula Quirk Russo joined the Tax Institute of Australia as State Manager for Queensland in 2009. Based in Brisbane Paula and the Queensland team are responsible for the State wide delivery of the Institute's core programs including education products and services, membership, tax technical and business development. Paula brings to the Institute a long and successful career in senior management roles with both industry associations and commercial enterprises. Craig joined the Tax Institute in 2017 and leads the SA/NT team; working alongside a number of dedicated member committees to deliver the core professional development programs, member services and recruitment, technical advocacy and general business development for the Tax Institute. He brings to the Institute over 20 years of general, contract, business/professional development, and relationship management experience in roles in industry associations, state/federal government and hospitality. He holds a Bachelor of Management from the University of SA. Brian joined The Tax Institute as State Manager WA in 2015. He brings over 19 years of relationship management, business development and marketing experience in European, US and Australian markets, in a variety of sectors including association management accounting, financial services, tourism and agribusiness. 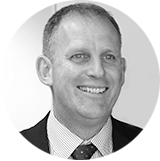 Prior to joining The Tax Institute, Brian most recently worked in senior business development roles with Perpetual Private and the Institute of Chartered Accountants Australia. Originally from Ireland, he is a graduate of University College Dublin's Graduate Business School where he gained a Master of Business Studies and a Postgraduate Higher Diploma in Business Studies. He also has a Master of Arts and Bachelor of Arts degrees. Adam joined The Tax Institute as State Manager VIC / TAS in 2017. With over 20 years of roles in client relationship and event management, he is an experienced business professional with extensive commercial experience across a variety of sectors including not for profit, membership organisations, education, financial and professional services, and ICT. Prior to joining the Tax Institute, he held a number of senior engagement, relationship management and general management positions at various membership bodies including Chartered Accountants Australia & New Zealand where he worked with Big-4, mid-tier and small practices, as we well as the corporate and government sectors and he also worked with CEDA - the Committee for Economic Development of Australia.